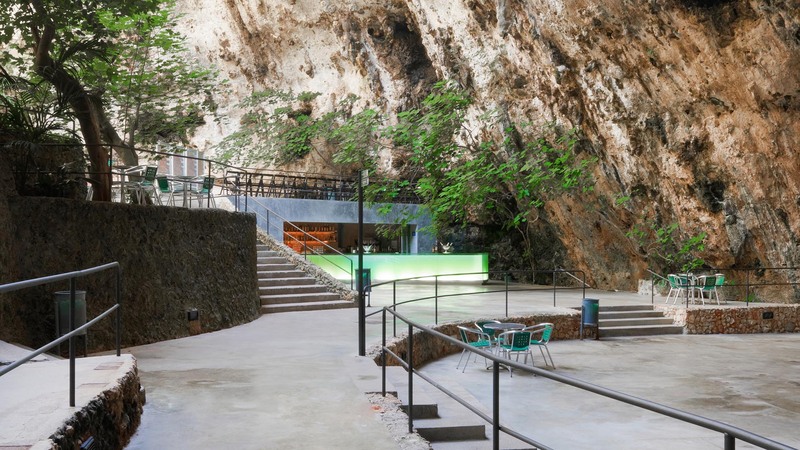 The great natural entrance to the “Caves of Hams” in Mallorca houses a lush botanic garden. 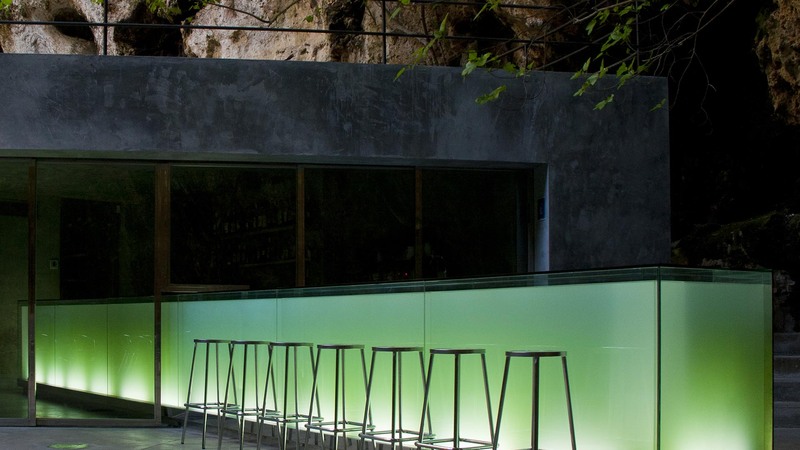 It is in this entrance that the bar is situated and made up of a piece of backlit glass of 10 metres in length. 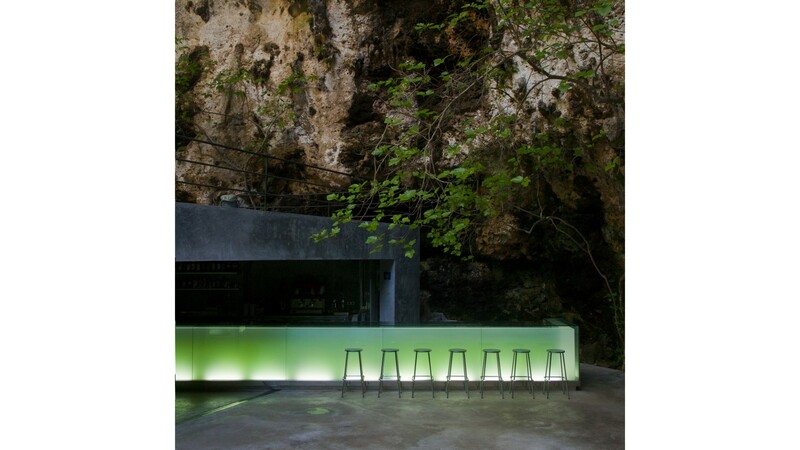 The counter of the bar, the most important element of the project, is fitted into a concrete cavity made up of straight lines, designed to contrast with the organic forms of the cave and can be closed under a transparent cover. 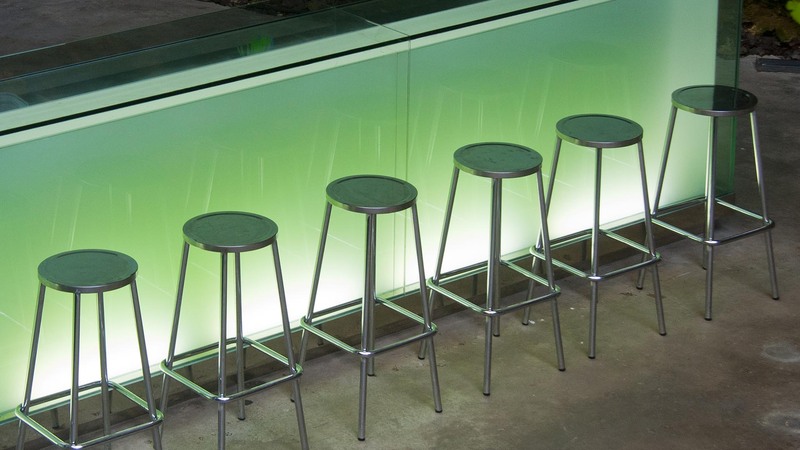 The bar is built of glass, a material which is the opposite of the heaviness and opaqueness of rock, and it stands out from its surroundings thanks to the fact that it is backlit, which also aids any disorientated visitors to find their way to it. 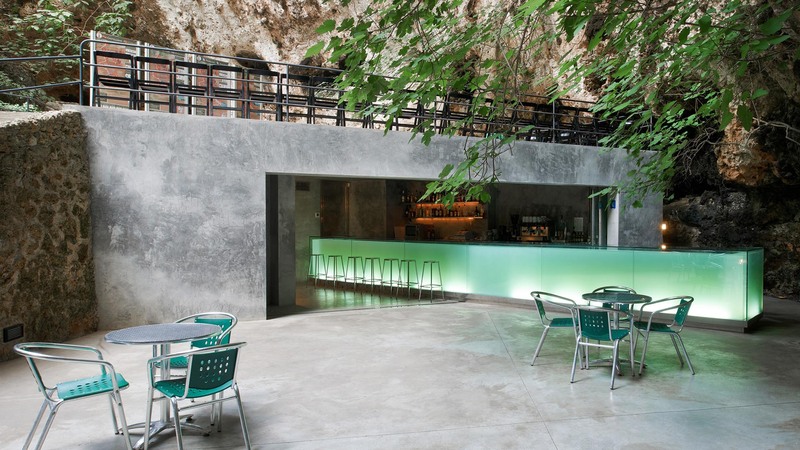 The bar is decorated in green tones, in consonance with the predominant color of the abundant vegetation in the surroundings, generating a new dialogue between the natural and the artificial.